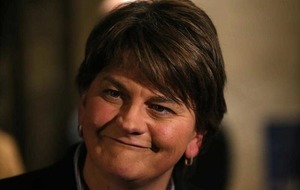 NORTHERN Ireland's First Minister Arlene Foster has insisted she was not attending a 1916 Easter Rising commemoration during an event marking the rebellion against British rule. 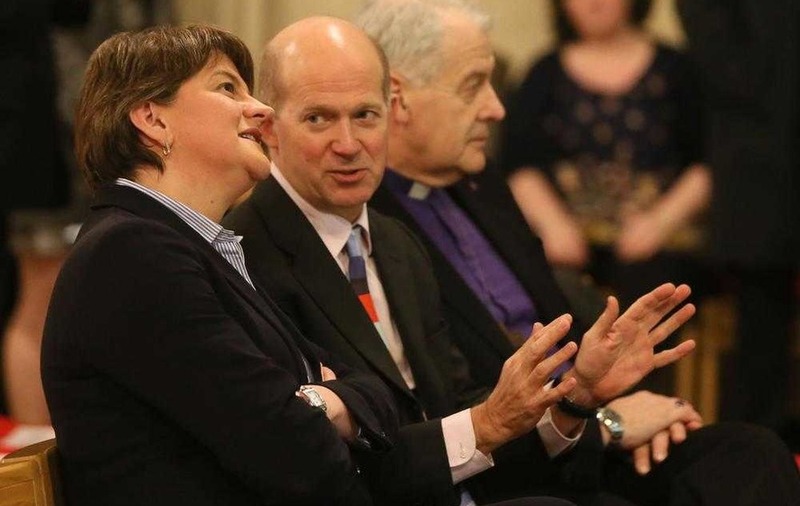 The DUP leader, who had vowed to snub centenary commemorations of the uprising, travelled to Dublin to take part in a Church of Ireland-organised talk at Christ Church Cathedral about the offensive. 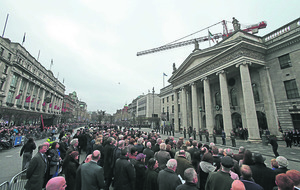 The Church had billed it as a commemoration but later issued a statement clarifying that the discussion was "not a commemorative one but one which is designed to mark the centenary of the Easter Rising by exploring it historically". Arriving at the event, Ms Foster said she was open to listening to the different perspectives, but added that people in the Republic had to take onboard difficulties northern unionists have with the rebellion. 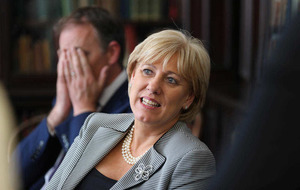 "I was very clear when I was asked about the commemoration of the Easter Rising, the Easter rebellion, call it what you will, that I wouldn't be coming to commemorations, but I was very happy to come to a historical lecture or reflective evening," she said. "That's exactly what I'm doing tonight and I'm delighted to be in Dublin, in Christ Church. "I hope that I set a tone of respect, a tone of tolerance, a tone of respecting difference as well, and I'm very much looking forward to hearing the different perspectives." The rising was a seminal moment in Irish history that ultimately led to partition and the creation of both the Republic of Ireland and Northern Ireland. Ms Foster had previously denounced the event as an attack on the state and democracy which more recently gave "succour" to violent republicans in Northern Ireland. Taoiseach Enda Kenny, also invited to the event, last month declared his disappointment in the first minister's vow to snub commemorations of the 100-year-old rising. 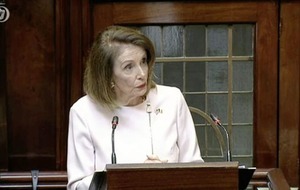 "One of the things I think that concerns people in Northern Ireland about what happened here 100 years ago at Easter is the fact that it was used then in the seventies and the eighties to justify what happened in Northern Ireland at that particular time," Ms Foster said, in reference to the recent IRA campaign. 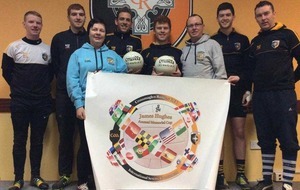 "I think that is a very difficult thing for a lot of unionists to come to terms with and it is something I think people here in the Republic of Ireland have to reflect on as well." Asked about Queen Elizabeth placing a wreath and bowing before a monument to those who died fighting for Irish independence in Dublin five years ago, Ms Foster refused to comment on whether the monarch was right to do so. "Of course, her majesty the queen makes up her own decisions and I think she's a tremendous role model, particularly in Northern Ireland in terms of reconciliation," she said. "For me, I have made my position very clear, I'm here to listen, I'm looking forward to listening." "I'm certainly open to listening to different narratives, I've never said that I wouldn't listen to different narratives. "But I, of course, have a very particular view on what happened 100 years ago, and that of course is where I come from in terms of my politics." The Christ Church evening, entitled State of Chassis – Ordinary People in Extraordinary Circumstances in Dublin in 1916, included talks by a number of Irish historians.